Community association boards often are faced with governance disputes and business disputes. Governance disputes involve owner complaints about the whether the board is following the governance procedures in the association's governing documents and statutes. Governance disputes also involve complaints against owners who violate the community rules. Business disputes involve matters such collecting delinquent association assessments, disagreements with the developer regarding payment and construction repair obligations, and contract disputes with service providers. Thomas Schild Law Group lawyers advise boards of directors on strategies for resolving disputes without litigation and, where necessary, represents the association in court and administrative proceedings. When a governance or business dispute is not resolved directly by the parties to the dispute, our lawyers evaluate the facts and legal issues involved to assist the board in adopting a strategy for resolving the dispute. We inform the other party of the association's position and, if appropriate, attempt to negotiate an agreed settlement of the dispute. Where governance disputes involve mediation through the Montgomery County Commission on Common Ownership Communities or the Maryland Office of the Attorney General, we represent the association in seeking a mediated resolution of the dispute. If a dispute is not resolved through negotiation or mediation, the dispute often ends up in court litigation. our lawyers represent community associations in court litigation involving governance and business disputes. Common issues which may require filing suit are collection of unpaid assessment, covenant and rule violations, developer warranty repairs, and contractor payment claims. 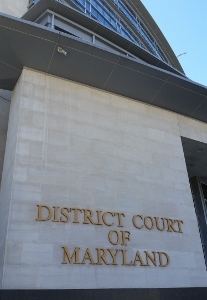 For governance disputes in Montgomery County, we also represent associations in binding arbitration before the Montgomery County Commission on Common Ownership Communities. Let us help resolve your community disputes!